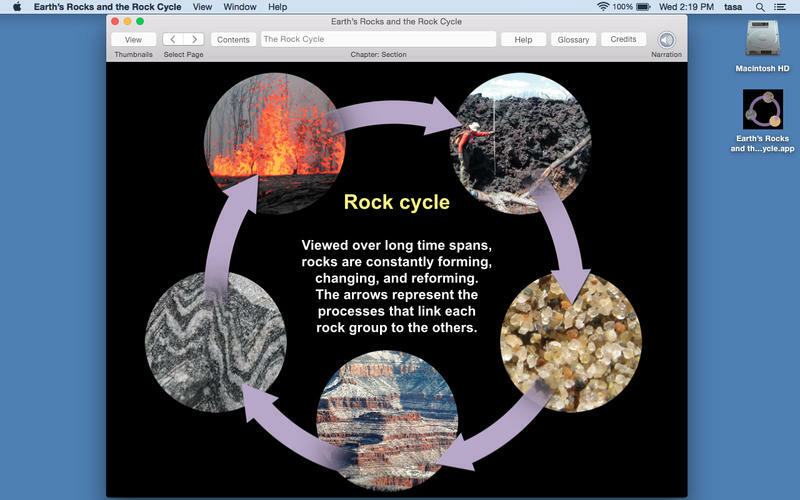 Earth’s Rocks and the Rock Cycle is an educational app for Mac from developer Tasa Graphic Arts Inc that provides a great teaching resource for both kids and adults. The app contains a great wealth of easy-to-access information about rocks and the geological processes that lead to their continual creation and destruction. There are details and high-resolution photos of the three main types of rocks (Igneous, Sedimentary and Metamorphic) with descriptions and depictions of how these rocks form the basis of the Rock Cycle. 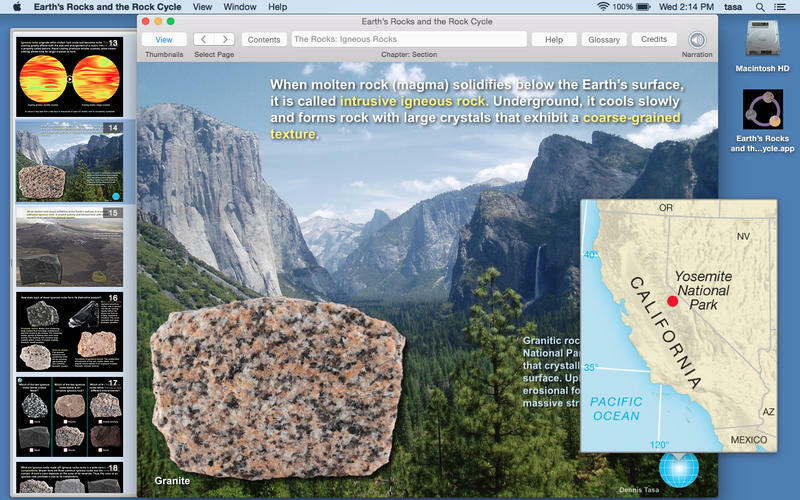 The app”s interface is highly visual and very intuitive and there are lots of graphics and photos to illustrate different points, as well as an excellent array of examples of the different rock types. There is a handy audio narration feature, an easy-to-browse image gallery and more. 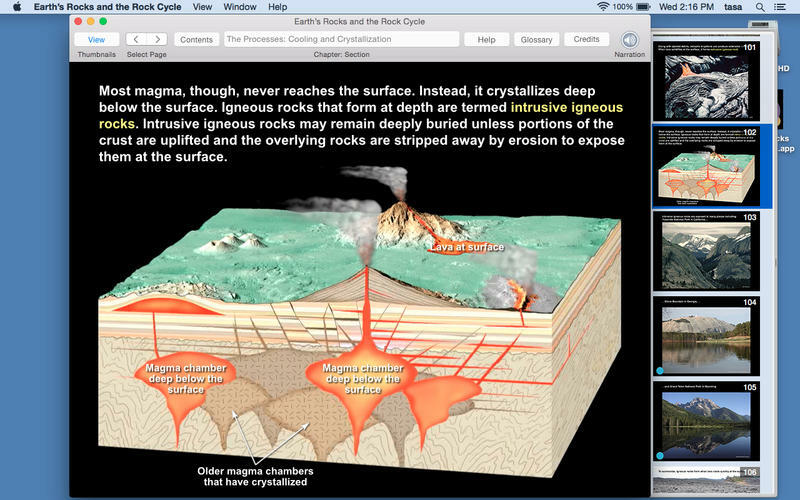 It”s not just for kids though, this is an app with some quality content for anyone with an interest in Geology. The app also features a number of quizzes where you can test your knowledge.